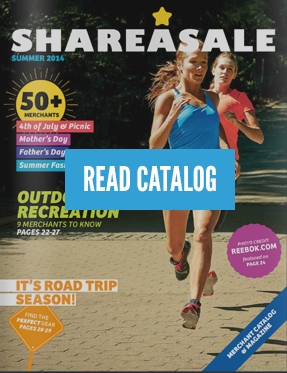 One of the most popular questions I receive from Merchants is, “How do I recruit quality new Affiliates or get my program noticed in ShareASale?” Excellent question and there are several ways. However, the Network, believe it or not, is not the only way to get recruit Affiliates and get your program noticed! [Gasp!] I know… I know… it’s shocking. There are many tools available to get your program noticed, some of which you may find yourself using quite frequently already. These tools can help put you in contact with the type of Affiliates you want to join your program and help you build a positive reputation for your program which will increase the likelihood that Affiliates will want to work with you! Your mission, if you choose to accept it, is to take a break from browsing LOLCats, instagraming your food or watching re-runs of the Big Bang Theory (Bazinga!) and be proactive in your efforts to build a strong Merchant Program. You got a dream, you gotta protect it. People can’t do something themselves, they wanna tell you, you can’t do it. If you want something, go get it. Period. What a better way to meet quality Affiliates and partners than to do it in person! Meetup.com is an excellent source to find Meetup’s in your local area where you can either attend as a guest or host one of your own. You can search based on group criteria (eg. “Affiliate Marketing”) and read about the groups in your area and when they meet. When you go to these meetings, remember that in order to get the most out of the experience you’ll have to go beyond simply physically attending, but actually engage in conversations with the other attendees. Avoid the temptation to blend into the wall and speak up on your program’s behalf. Building a strong and positive presence for your Merchant Program is very important in recruitment. Strong presence and belief in your brand will in turn form a solid reputation and entice Affiliates to want to join your program. So ‘Speak Up at the Meet Ups’ and get your program noticed! On a more global scale, another way to meet Affiliates face-to-face are at conferences. Not only are they typically in great locations, at excellent venues, with delicious food & stellar parties (especially the ShareASale parties…), but they also allow you to attend numerous educational sessions on best practices. Conferences give you a chance to speak on your program to gain exposure and provide unlimited opportunities to network. No matter who you talk to, Merchant, Network or Affiliate, they will all agree the best networking you will do at conferences are at the Happy Hours, Dinners & After-Hour Parties. Here is where you put on your game face and have the opportunity to talk to everyone and anyone! Opportunity to gain exposure to your program and network quality Affiliates is endless… and it’s also a fabulous time! Social Networks are also a fantastic way to get into contact with Affiliates. Social communities like Facebook, Twitter & LinkedIn are excellent tools to put you in communication with Affiliates and get your Merchant program noticed. LinkedIn has a plethora of groups you can join purely for information or interact with and start up discussions. Facebook is another great source with tools to help communicate with Affiliate communities. You can also create ‘private’ groups in Facebook where you invite Affiliates to these groups and communicate to them privately about your program, ideas and overall program goals. With these communities, you can also target specific niches of groups to help you recruit the Affiliates you’re specifically looking for. Now it’s up to you to get on out there, put a face and a voice to your site and show Affiliates what they are missing not being in your program! And hey, have a little fun while you’re at it!